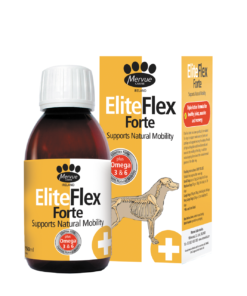 EliteFlex Forte has been specifically formulated by for dogs to support the maintenance of joints and cartilage from injury. 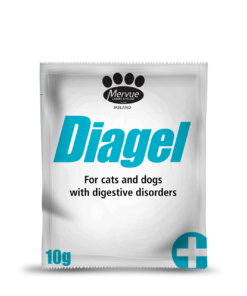 Periods of high activity place additional demands and wear on the mobility of the dog. 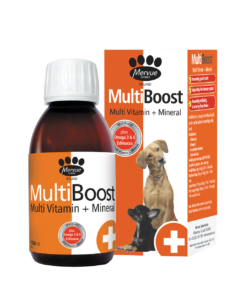 In addition natural ageing slows down the natural renewal process of the older dog. Omega 3 – Research has shown Omega 3 may safely support the relief, the inflammation and pain caused by arthritis, as well as slowing joint dehydration. 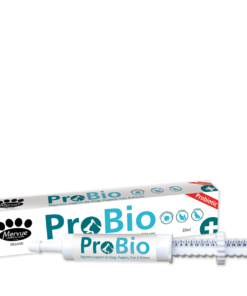 Hyaluronic Acid – Composed of d-Glucoronic acid and N acetyl D glucosamine and is found in both the extracellular and intracellular matrix, especially in the soft connective tissues of dogs and cats. 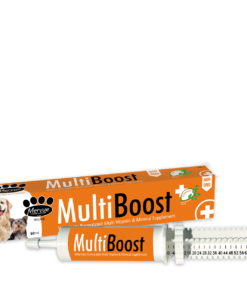 Hyaluronic Acid is noted for its ability to form highly viscous solutions making Hyaluronic acid the primary constituent of Synovial fluid (JOINT LUBRICANT) in the joints of dogs and cats. 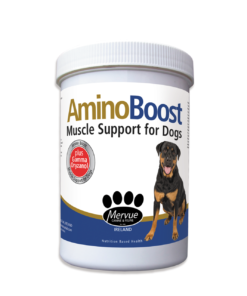 Glucosamine – Enhances the level of glycosaminoglycans in the joint. These are the ‘building blocks’ in the cartilage matrix. Glucosamine will increase the hyaluronate content in the joint. 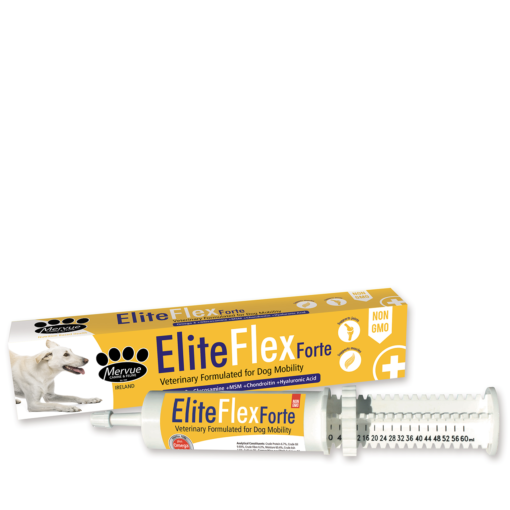 Hyaluronate is a fundamental component of synovial fluid-the joint lubricant. Chondroitin Sulphate – A natural ‘water magnet’ in the joint to withstand constant compression and concussion. 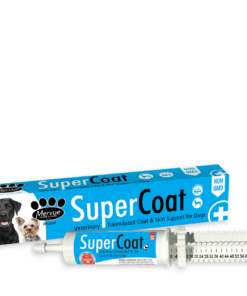 Chondroitin sulphate also inhibits ‘the cartilage chewing’ enzymes that are present in damaged joints. 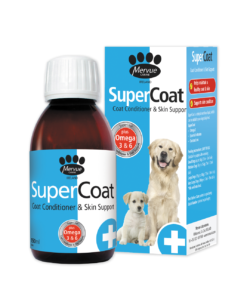 Chelated Zinc – Together with sulphur forms the structural tissue we know as keratin.